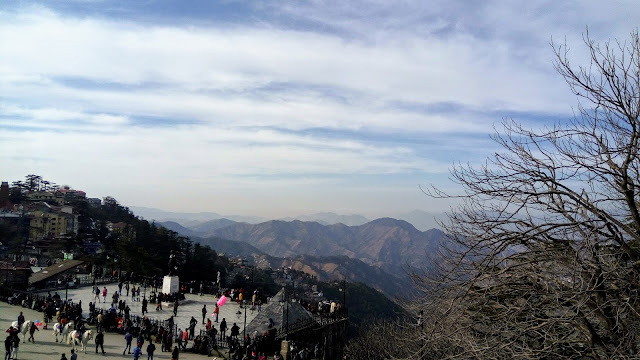 This particular post is about the places which we went to see on the last day of our trip, i.e 28th of January. And since these places don't really come under a particular city or village, I am not writing about what these places are. With that said, I will jump right into the places of interest. 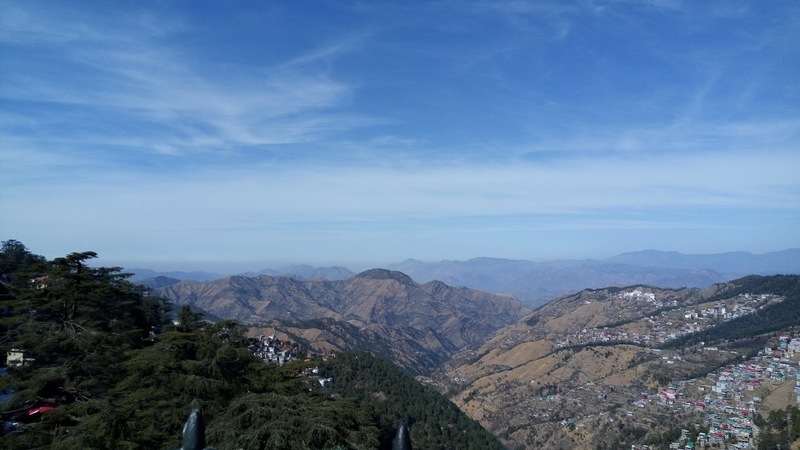 Jakhoo Hills is a series of hills which is situated 2.5 KM from the Ridge, Shimla at a height of 2,455 meters (8,000 feet) above sea level. 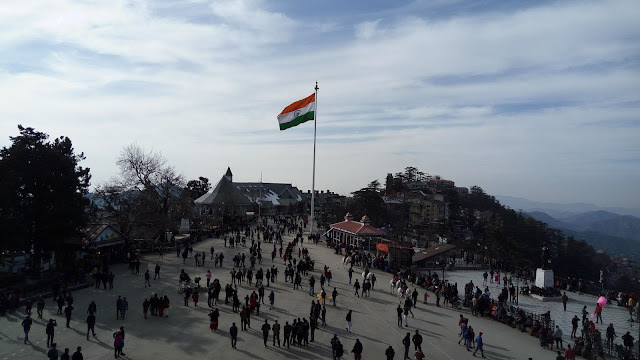 It is Shimla's highest peak. Jakhoo/Jakhu Temple is a temple of Lord Hanuman which famously houses a 108 feet tall Hanuman idol. From the top, the total height comes out to be 8200 feet from sea level. 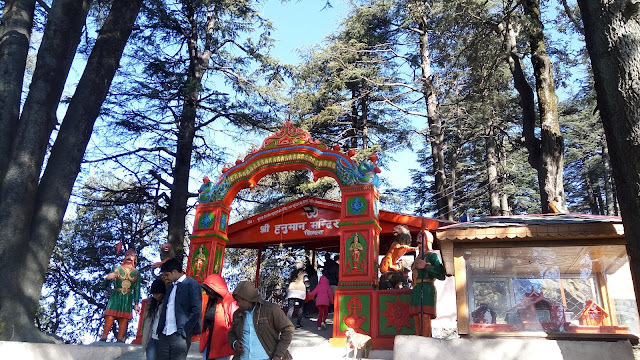 This idol is said to be the highest point in Shimla. While the temple itself is not an epitome of architectural marvel per se, this 108 feet tall idol is truly impressive. The entrance of Jakhu Temple. The stairs take you to the idol. Zoomed in view of 108 feet tall Hanuman idol, as seen from The Ridge. A word of caution. Beware of monkeys. There are a lot of monkeys here and they can be really aggressive. Take a good care of yourself and your belongings, especially spectacles, mobile phone and camera. Right in front of our eyes, a monkey snatched up spectacles of a girl and ran away ;-) She had to bribe him by offering prasad, which proved to be even more costly. She couldn't catch her glasses and they fell on the road. 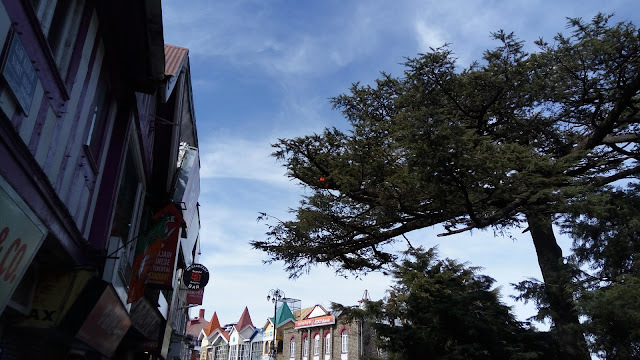 Mall Road or The Mall is a British era road which connects to another attraction of Shimla, The Ridge. Mall road is situated at quite a height and there are two ways to reach there. There are stairs which you need to climb or you can opt for the lift which is also known as Lift to The Mall. There are 2 lifts which run parallelly and take you there to The Mall (situated on the second level). Each lift has a capacity of 8 people and there is a ticket of 10 Rupees per adult for one side. Senior citizens get a discount of 3 Rupees. My personal suggestion would be to come and leave early since there can be a very long queue. Also, be prepared to pump your longs because The Ridge is situated at some height. But the best thing is that there are seats available for you to take rest & fill in some air. View of The Ridge from Mall road. Christ Church is visible in the background. Scandal point connects Mall road to the first level of Ridge. It is a large, open, 3 level space in central Shimla which is based on a concept seen in many European countries (Dam Square in Amsterdam or Grand Place in Brussels). There are many shops here which attract the tourists who are looking for souvenirs & Himachali shawls. There are paid washrooms (Free for men & 5 Rupees per head for women. Very dirty). 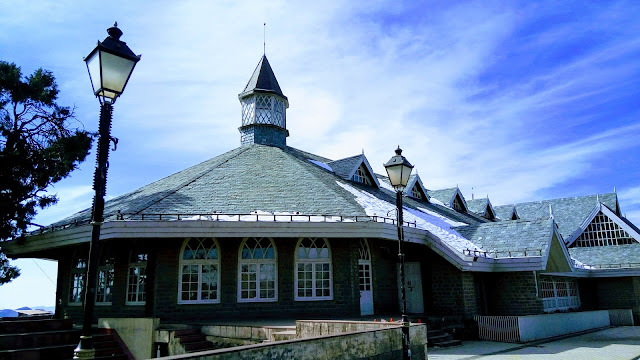 There is also a hotel run by Himachal Tourism department called Goofa-Ashiana. Also, there are arrangements for drinking water. One can see European style buildings as well, which explains Shimla's origin. The Ridge also connects to Jakhu Hills via road & one can walk up to the temple. It takes around 30 minutes for a super fit adult to cover this distance, as mentioned in a display board there ;-) Below is a super zoomed in photo (shot at 40X) of Lord Hanuman idol I clicked from The Ridge. Our Tri-color as seen from the top. Below are some of the interesting places that can be found here. Christ Church is the second oldest Church in North India which was built in 1857. It is built in neo-Gothic style, which is quite common in many European cities. The Church contains 5 stained glass windows (you can see photos of some of them below). Zoomed in photo of Christ Church, as seen from The Ridge. Inside view of Christ Church. A beautiful stained glass window, showcasing the European architecture. Another view of stained glass windows. 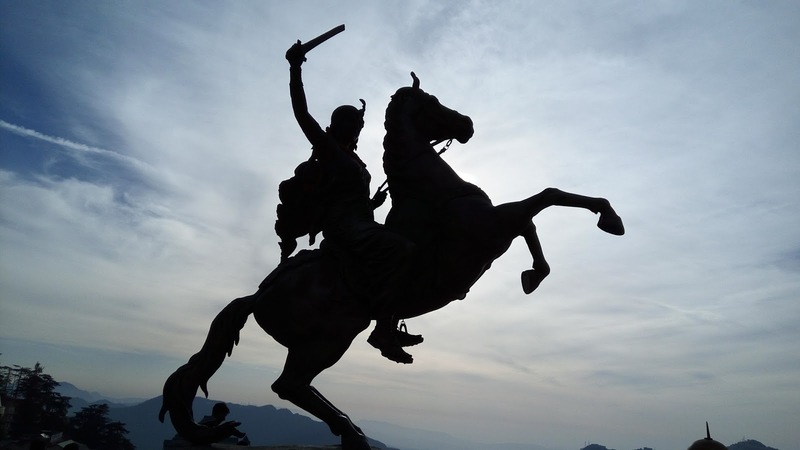 There is a small park dedicated to the Iron Lady Rani Laxmibai. 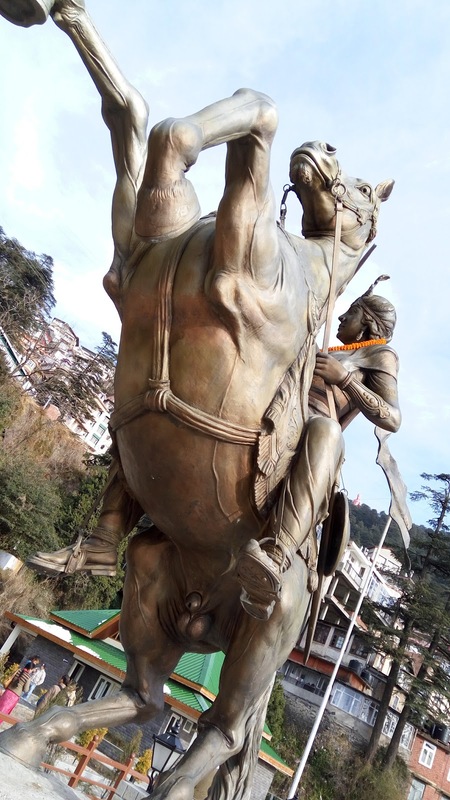 There is nothing special about the park, except for the metallic statue of Rani Laxmibai which takes you back to the history. There are numerous seats available, so you can easily take some rest if you are tired. For kids, there are inclined planes & merry-go-rounds. Another photo with a silhouette touch. Shot from the opposite direction of light. 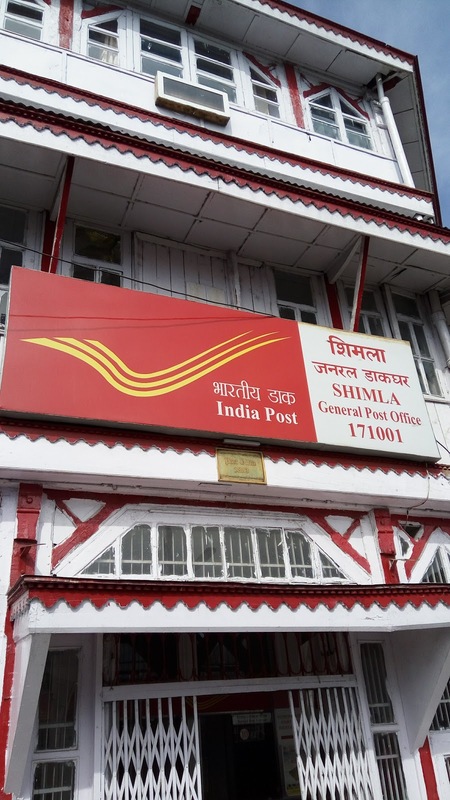 This wooden frame structure is one of the oldest post offices in India & is built in a British style. 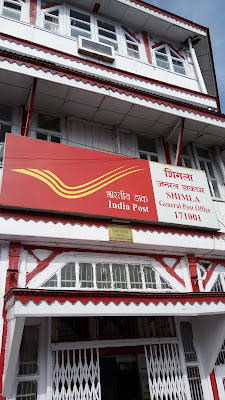 You will be pleasantly surprised to see such a beautiful post-office building, especially if you have an image of a typical post-office in your mind ;-) Below photo doesn't quite do the justice to its value. This building is much more magnificent & beautiful. The whole building didn't quite fit in my camera. 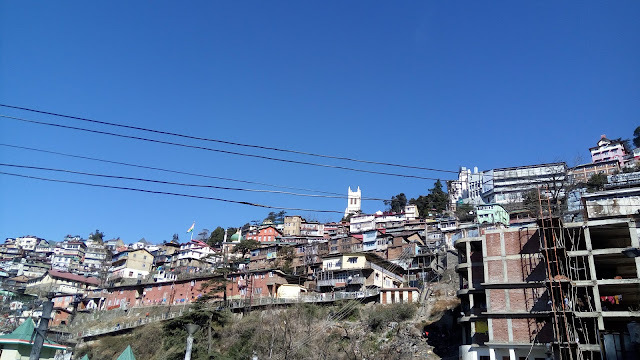 I now leave you with some of my most favourite photos of The Ridge, Shimla :-) As with most of my photos, these have no post-processing or filters applied (except 1-2 photos). I do it intentionally to preserve their soul & reflect the actual feel. 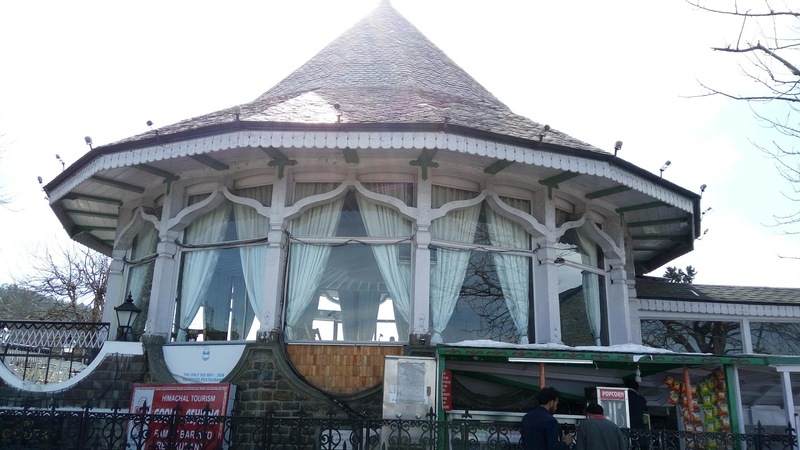 Himachal Tourism Restaurant, known as Goofa-Ashiana. 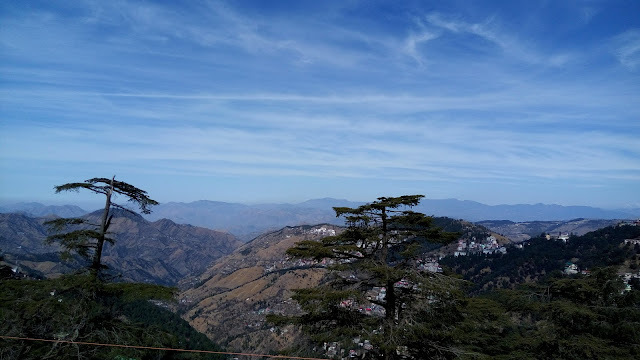 View of Shimla city from The Ridge. Snow clad mountains in the background.